A recurring theme of recent happiness research is that when it comes to seeking pleasure, people should “buy experiences rather than things.” People are happier when they skip the shiny baubles (or new high heels) and do something memorable. Over at the Atlantic, Garett Jones gives one economic explanation for this finding: memories are a durable good. [M]emory, wholly intangible, is quite durable. People often shrink from driving to a distant, promising restaurant, flying to a new country, trying a new sport–it’s a hassle, and the experience won’t last that long. That’s the wrong way to look at it. When you go bungee jumping, you’re not buying a brief experience: You’re buying a memory, one that might last even longer than a good pair of blue jeans. [P]eople treat memories somewhat like durables, but most of us could do a better job of it. Yes, it’ll be a hassle to find that riad in Marrakech when your GPS fails you, but complaining about it with your sibling years later will be a ton of fun. Get on with it. A corollary: if memory really is a durable, then you should buy a lot of it when you’re young. That’ll give you more years to enjoy your purchase. So it’s worth a bit of suffering to create some good memories, since the future lasts a lot longer than the present. That’s good advice. But I can’t help thinking that people who are unhappy on vacation are doing it wrong. Then again, maybe my recollection is blurred by selective memory? In any case, the little feline above is a great example of Garett’s thesis. 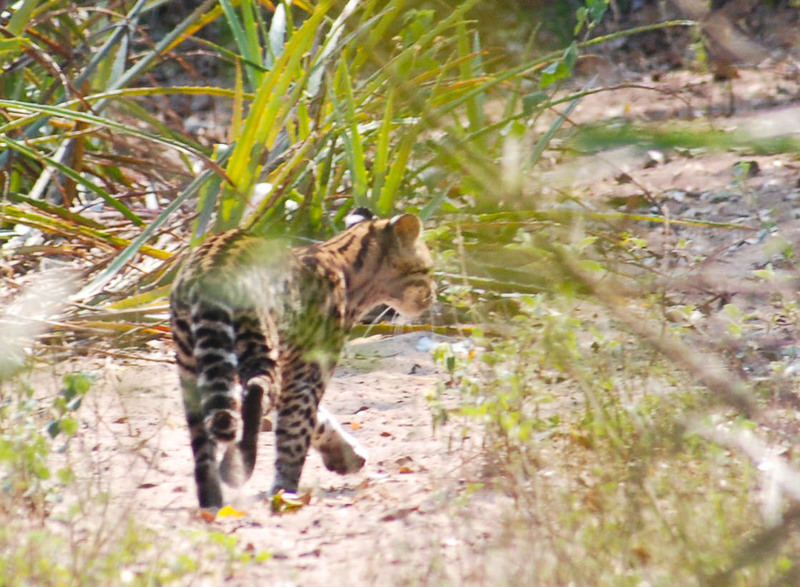 Since I was a child, I had always wanted to see an ocelot in the wild. And last summer, Esther and I found one in Brazil. Our entire encounter lasted about 15 seconds and produced a couple of mediocre photos. But until my brain gives out, I will always cherish seeing the little critter. P.S. About 20 years ago, I recall someone attributing the “memory is a durable good” idea to Milton Friedman. If anyone’s got a cite to that, please post in the comments. P.P.S. Will Wilkinson also comments on Garett’s thesis. P.S. 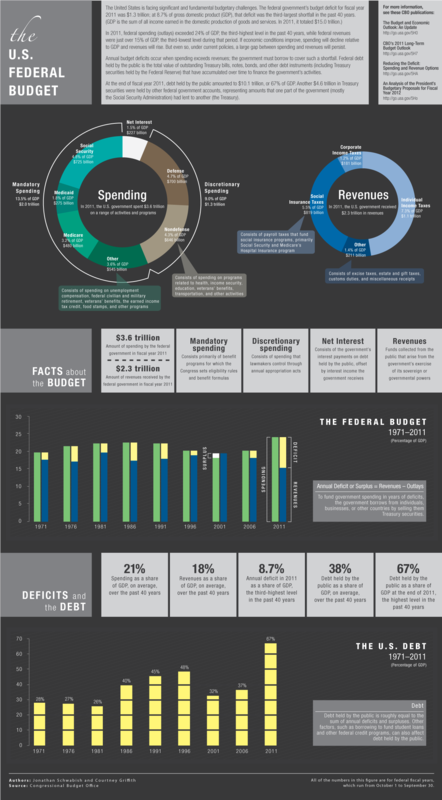 In case you missed it, here’s Jon and Courtney’s overview of the entire federal budget. They also have nice graphics on discretionary spending and federal revenues. Here’s an interview that Alice Rivlin and I recently did with Jeffrey Brown on the PBS Newshour. Spoiler: Both Alice and I think the tax code needs to be fixed. P.S. Most TV interviews involve starting into a camera and listening to a voice in your ear. So this was a fun change with Alice, Jeff, and me together.